Your wedding ceremony is a civil ceremony, which is legal and binding worldwide. If you hold European passports other then British, some European countries ask that their embassy be sent a copy of the wedding certificate to be stamped. This formality is handled by the Resort. This is a guideline - we can elaborate for you once we know what nationality you are. If you are a United States citizen, you may be required to both be present at the registry when presenting them with your St. Lucia wedding certificate after your return- this differs from state to state. If you are interested in a Church Wedding, please visit the formalities section. The Registrar performing the civil ceremony is a government appointed official. We are sometimes asked whether you can bring along your own minister. The official, legally binding part of the ceremony must be conducted by the island Registrar. You can, however, invite a friend, relative or minister to add a speech, poem or prayers to the official ceremony. At the same time, you are also invited to "personalize" your ceremony by preparing a text, prayer or poem to say or recite to each other, as part of the ceremony. Once we know what you are planning, we shall inform the Registrar accordingly. The ceremony is usually scheduled at a time between 3.30 and 5.00pm; we can also arrange other times on your request. In order for the wedding ceremony to be legally valid, the ceremony must be conducted after sunrise and before sunset which is usually between 6-6.30 pm. You will require two witnesses. If you have not brought along your witnesses or have not met anyone at the Resort you would like to ask to perform this duty, then we shall make two witnesses available to you. The text below constitutes the essence and legal parts of the wedding ceremony. In addition, there will be opening and closing remarks by the Registrar. Couples are invited to forward to us and the Registrar any excerpts of texts or poems they wish to have included. Couples may also choose to prepare text to recite to each other..
<Groom> and <Bride>, have you come here freely and without reservation to give yourself to each other in marriage? Will you love, honor, and cherish each other as husband and wife for the rest of your lives? I will now deliver the vows to you. Please respond with "Yes, I do". 1. Will you <Groom> take <Bride> to be your wife, from this day forward, for better, for worse, for richer, for poorer, in sickness and health until death do you part? 2. Will you <Groom> promise to be faithful to <Bride> as long as you live? 3. Do you <Groom> solemnly declare that you will take <Bride> to be your lawfully wedded wife, and do you solemnly declare that there is no legal impediment to this marriage? These rings are significant in your marriage and are a symbol of your marriage and will indicate that you are married. 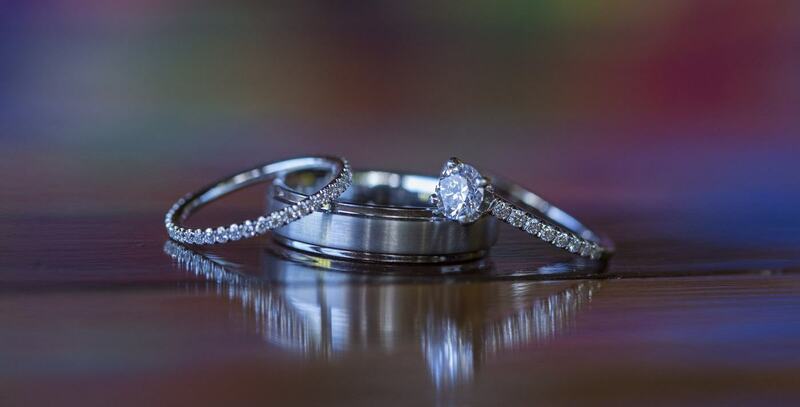 The rings signify eternity and will remind you of the vows that you made to each other. If you look at these rings, you will see that they are round, and continuous, one end meets the other. The rings are of solid metal, and this should indicate to you that your marriage should be of a solid foundation. Woman: <Groom>, take this ring as a sign of my love, devotion and fidelity. Man: <Bride>, take this ring as a sign of my love, devotion and fidelity. After this ceremony, you will be asked to sit down at a specially prepared table where you and your witnesses will sign the registry, and when you will be presented with the wedding certificate. Then, the cake cutting will take place. It is a tradition in St. Lucia that the bride and groom feed each other a small piece of cake. Champagne is served at this time. Wedding groups sometimes prefer to delay the cake cutting ceremony until after dinner. This can of course be arranged.